By using this website and/or purchasing Xempo goods you agree to be bound by these terms and conditions. 1.1	By ordering goods, you are confirming that the information you provide relating to qualifying times is accurate in all material respects. Terms relating to payment for goods are set out on the Payments page on the website from time to time. 1.2	Xempo goods may be purchased on the website, by post or by telephone. 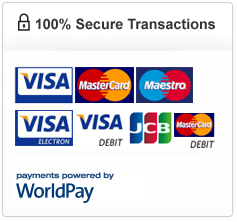 Payment can be made using a credit or debit card, bank transfer or cheque. 1.3	We will only be bound by an order once your payment has been processed and we have sent an email to you confirming your order. 1.4	Goods are sold at the price displayed on the website, plus postage & packing. All prices and fees include any applicable value added tax. 1.5	Goods are subject to availability. In the unlikely event of any unforeseen delay in dispatching your order (for example, if your selection is temporarily out of stock), then Xempo Ltd will be in touch directly via phone or email to notify you. 2.1	Terms relating to delivery and return of goods are set out on the Delivery & Returns page on the website from time to time. 3.1 By using the website you indicate that you accept these terms and conditions and that you agree to abide by them. If you do not agree with any of these terms or conditions, please exit the website. 3.2	Access to the website is permitted on a temporary basis, and we reserve the right to withdraw or amend the service we provide on the website without notice. We will not be liable if for any reason the website is unavailable at any time or for any period. 3.3	All materials on the website and all intellectual property rights in the website are owned and/or controlled by Xempo. All materials on the website are protected by copyright. Permission is granted only to electronically copy and/or print in hard copy portions of the website for personal non-commercial purposes. Any other use of the materials on the website (including but not limited to making such material available on any other website, online service, bulletin board or networked computer environment) is strictly prohibited. 3.5	The website may include links to other websites that may be of interest to you. We do not endorse or approve and have no responsibility for the content of any website to which the Xempo website links including but not limited to any advertising, marketing, promotions, products or services available from such websites, nor for any loss caused by the use of or reliance on the content of such external websites. 3.6	No authority is given (expressly or implied) by us to deep link to or to frame any of the content that appears on the website or to use any representation of any of the trade marks, service marks, trade names, branding or logos that appear on the website. Linking to the website is prohibited. 3.7	Whilst we have taken reasonable precaution and care in compiling the website, we do not make any representations or warranties of any kind (expressly or implied) with respect to the content or operation of the website and any such representations and warranties are excluded by this notice. We do not warrant that use of the website will be uninterrupted or error free. 3.8	Your use of the website and the materials contained in it are done so entirely at your own risk. Xempo does not accept any liability for losses or damages, whether direct or indirect, that you may suffer as a result of your use of the website or your reliance on the content of the website including but not limited to computer service or system failure, access delays or interruption, data non-delivery or mis-	delivery, computer viruses or other harmful components, breaches of security or unauthorised use of the system arising from “hacking” or otherwise. 3.9	Any typographical, clerical or other error or omission in any page posted on the website shall be subject to correction or deletion (as appropriate) without any liability on our part. 3.10	You agree not to use the website (or any part of it) for any illegal purpose and agree to use it in accordance with all applicable laws. 4.1	Nothing in these terms and conditions affects your statutory rights. 6.1	“Xempo”, “we”, “us” and “our” means Xempo Limited (company number 7294345), 46 Regatta Point, 38 Kew Bridge Road, Brentford, Middlesex TW8 0EB. 6.2	We reserve the right to amend these terms and conditions from time to time. 6.3	If any of these terms and conditions are unenforceable, invalid or illegal, the enforceability, validity or legality of any other term or conditions will not be affected or impaired in any way. 6.4	These terms and conditions are governed by English law and you agree to submit to the non-exclusive jurisdiction of the courts of England and Wales.